Break out that Christmas, Holiday, Winter Festival â€“ or whatever – gift list! These C.A.I.R. Bears should be under every infidel Christmas â€“ er – Holiday Tree. 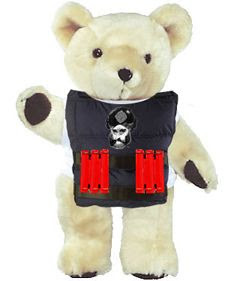 Rude News.com is displaying the new line of CAIR Bears. I donâ€™t know if they are for sale â€“ but here they are just in time for Santaâ€™s delivery. 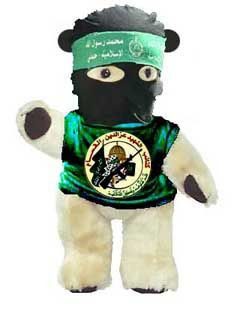 Jihad Bear – Jihad Bear is at the front lines killing filthy Zionist Bears everywhere. Peace be upon him! 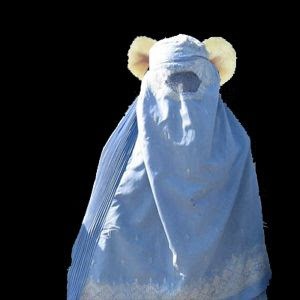 Sharia Bear – Sharia Bear is properly clothed, otherwise she will be stoned to death. Scare Bear – Scare Bear has many hats. Sympathizer, Talking Head and even Film Producer. Whether its phony protests, fighting cartoons, blaming Israel or filming atrocities for Allah, Scare Bear is ready to indulge the Western media. 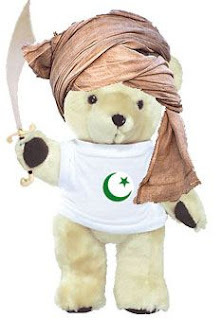 Dhimmi Bear – Dhimmi Bear gets to pay Jizya to his respective Islamic Government. Historically in the U.S., we know Jizya as â€œprotection moneyâ€ paid to the Siclilian Sharia. 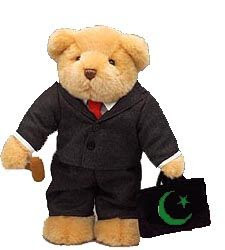 Barrister/Attorney Bear – The #1 CAIR Bear. This little guy has copied other victim hustlers and has built an industry using our Western values against us. Allah hu Ackbear! 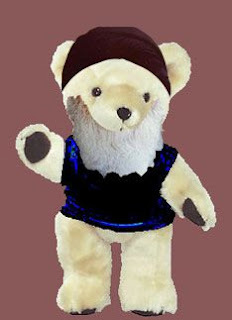 Ayatollah Bear – Ayatollah Bear is greatly exalted for his issuing of death-fatwas upon infidels. 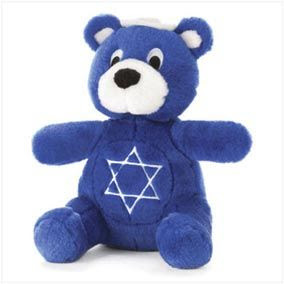 Hmmmâ€¦Whereâ€™s the infidel bear? The one with the head cut off! I assume Rude News.com knows a fatwa is on its way. 1 user commented in " Winds of War: And Now! The C.A.I.R Bears! "